Jamie Dimon, who serves as the Business Roundtable's chairman, predicted that overhauling the outdated tax system will make the United States more competitive and eventually help American workers. 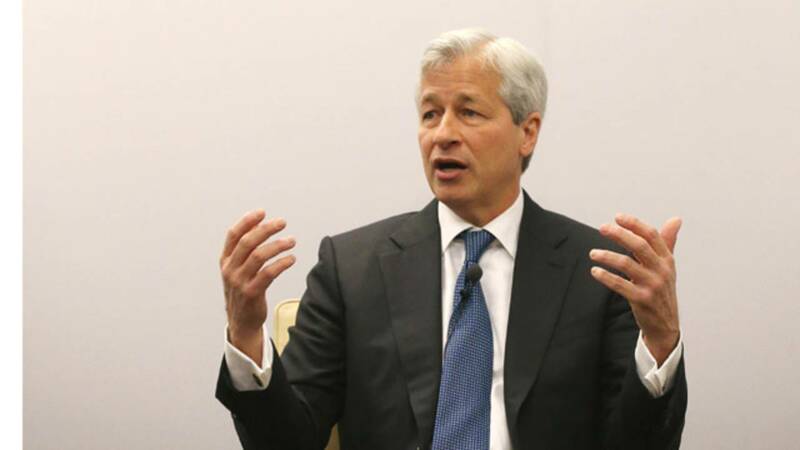 NEW YORK (CNNMoney) - You can count JPMorgan Chase CEO Jamie Dimon as another big fan of President Trump's corporate tax cut -- even though it cost his company more than $2 billion last quarter. Dimon also said that the company would increase and accelerate some of its investments in employees. He didn't elaborate, but that could be code for wage increases or special bonuses. On a conference call with reporters, JPMorgan Chase chief financial officer Marianne Lake said more details would be announced in the coming weeks. She also suggested that the company could reward investors with more stock buybacks and increased dividends. Several other large companies, including JPMorgan Chase rivals Bank of America, Fifth Third and Wells Fargo, have already announced plans to boost salaries and give out bonuses. JPMorgan Chase also said it lost $143 million on a margin loan to one client. During the call, Lake revealed it was to struggling South African retailer Steinhoff, which has been hit by an accounting scandal.